Marshall McLuhan Speaks http://www.marshallmcluhanspeaks.com is a project put together by Michael O’Connor Clarke and friends. 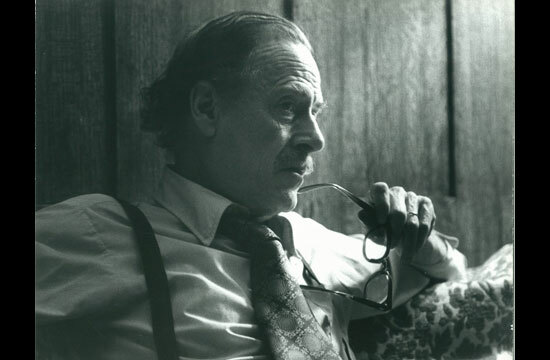 With the help and blessing of Stephanie McLuhan, one of Marshall’s daughters, they’ve helped put together this curated online video archive of select interviews with the man himself – part of a celebration around what would have been his 100th birthday later this year. The site is organized into short clips in which Marshall McLuhan explains what he really meant by such resonant aphorisms as “the global village” http://www.marshallmcluhanspeaks.com/?video=SAY_003 , “the medium is the message” http://www.marshallmcluhanspeaks.com/?video=SAY_005, and such. There’s also a rather special intro piece from Tom Wolfe. Good for challenging misquotations and settling McLuhan-based arguments. This entry was posted in CUR103 (Research Methodologies), Links, News. Bookmark the permalink.